Posted Aug 14, 2018 by Eds. 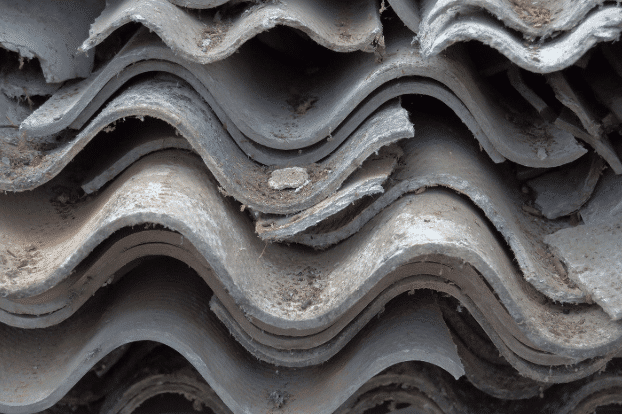 This is no better demonstrated than this latest piece of news published in The Architects Newspaper where the Environmental Protection Agency (EPA) is about to give the go-ahead for the use of Asbestos in manufacturing, building or other use as it no longer considers the highly toxic fibers that cause a particularly aggressive form of cancer worthy of monitoring if said fibers are in the air, ground, or water in its risk assessments. 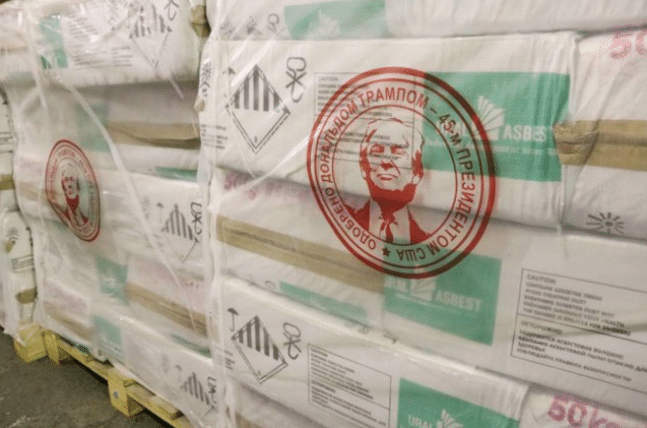 A photo from Russian asbestos exporter Uralasbest showing company pallets stamped with a seal of U.S. President Donald Trump’s face.